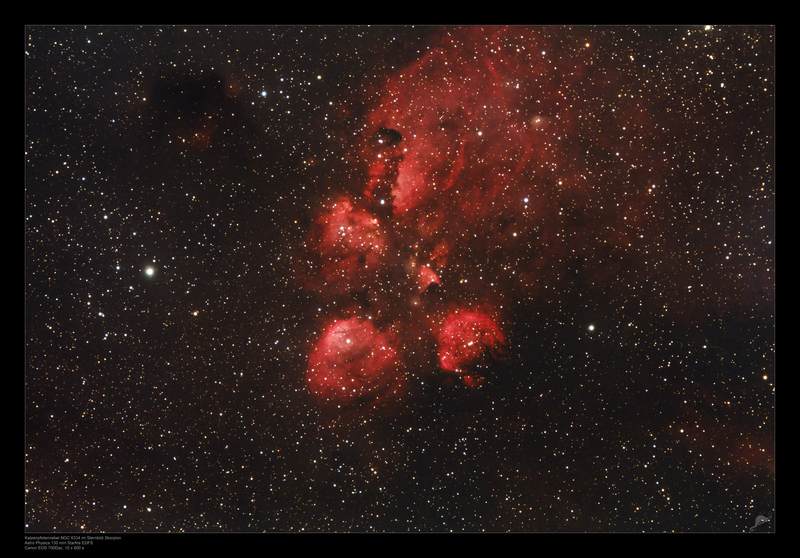 NGC 6334 - "The Cat's Paw"
The cat's paw nebula, located in the constellation scorpius (the scorpion), is one of the most beautiful nebula in the southern sky. The whole nebula is a huge star forming region at a distance of 5500 lightyears. The diameter of this region is about 50 lightyears, corresponding to the apparent angular diameter of the moon in the sky. 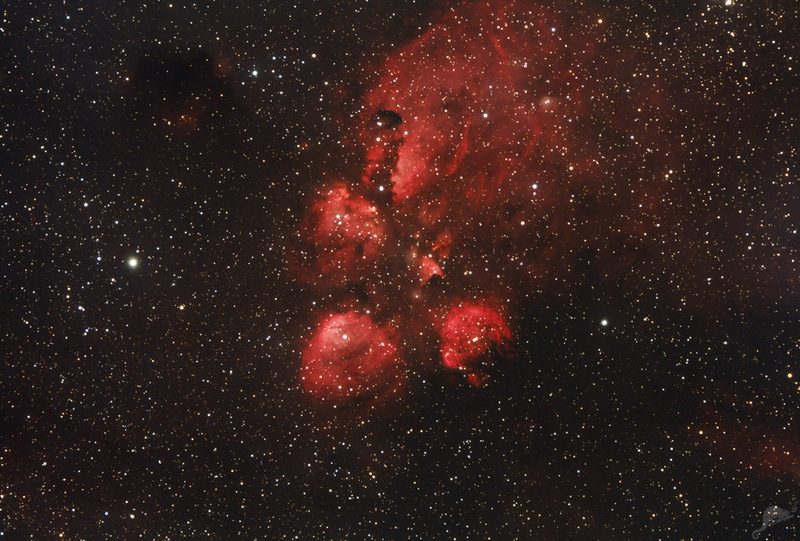 The footprint of the galactic cat consists of very large bubbles of gas which is ionized by young, hot stars. 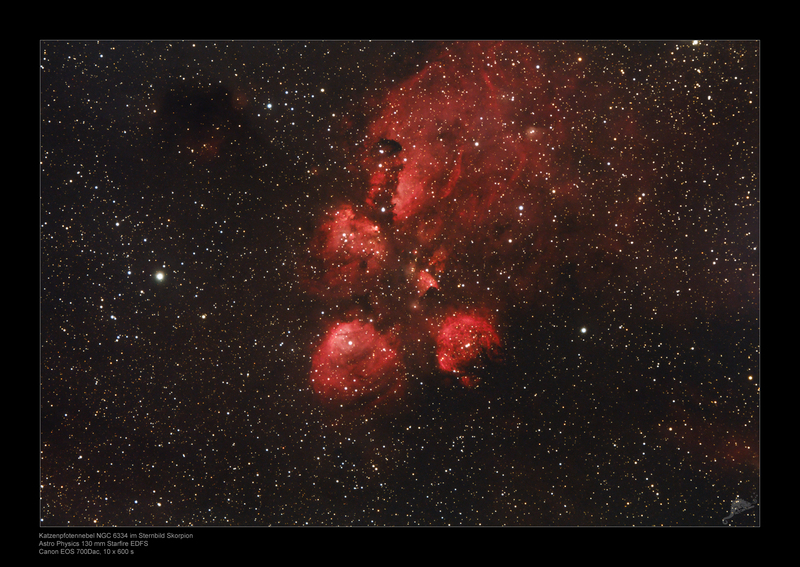 An interesting object is the netlike bubble in the lower right part of the nebula. This is either the effect of very fast stellar winds or the remnant of a supernova. 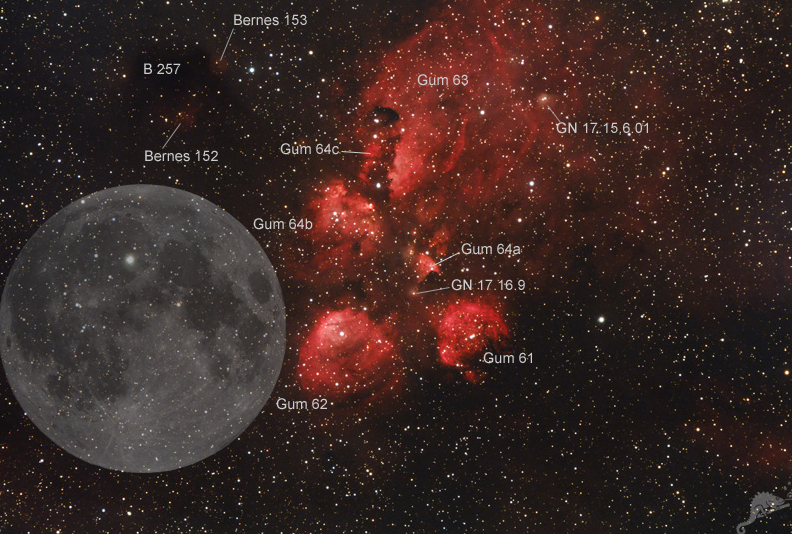 « Click here for the object identification and a comparison with the size of the Moon.